Ah, so you have a game room with a pool or billiards table and a bar, and you’re looking for the final touch: seating. A proper game room will have bar stools for the bar with spectator chairs throughout for viewing of the pool and billiards game. This page will go over some of the best manufacturers of billiards and bar stools, including where to buy their products at the cheapest prices. Read on if you have a great game room that just needs some places to sit! 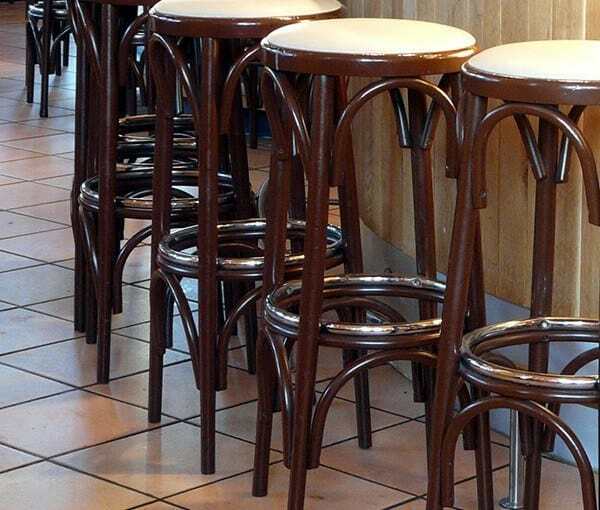 You see bar stools that are more like chairs, and you see bar stools that are actually stools (they don’t have a back to lean on). Each type can be good depending on the type of setup you have. If you have a dedicated bar area with plenty of room, it’s worth exploring billiards and bar stools with backs. You’ll keep these stools next to the bar and they won’t be used in other parts or your establishment or to view the games. These are good if you have a bar that happens to have pool in it - not necessarily a billiards hall with a bar in it, if that makes sense. If you don’t have much room or you want multipurpose seating, get stools without backs. If patrons are seated at the bar, this will encourage them to get up and try the games around the playing space. And because these types of stools take up less room, you can move them around and even use them as spectator chairs (if necessary). Sitting in a stool while drinking is one thing - sitting in one just to sit is quite another. Stools aren’t very comfortable. Professionals will have spectator chairs throughout the room (maybe stored off in a corner) where patrons can get a chair and enjoy the game without worrying about their backs giving out halfway through. 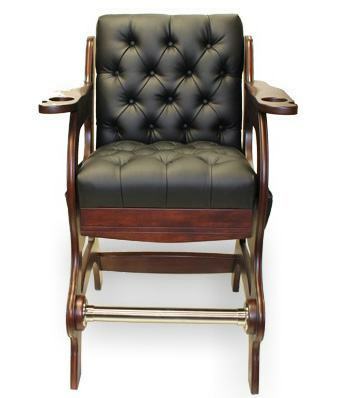 Spectator chairs closely resemble any other chair you’d see in a house or pub, but with one key difference: they’re specifically made to watch pool. The height and lumbar support both make it so you can watch the game without having to strain your neck or back. It’s always better to see furniture in person whenever possible. Check out your local furniture stores and see the bar stools they have in stock. Most likely, you’ll be able to find more than a few in your price range. Feel free to haggle on the price - your best bet is bringing in a cheaper offer from an online retailer and asking the store to match the price. They know that if they don’t, you’ll just buy from the other retailer - so you’ll usually get what you want, and if not, at least a discount. Feel free to haggle on the price - so you’ll usually get what you want, and if not, at least a discount. 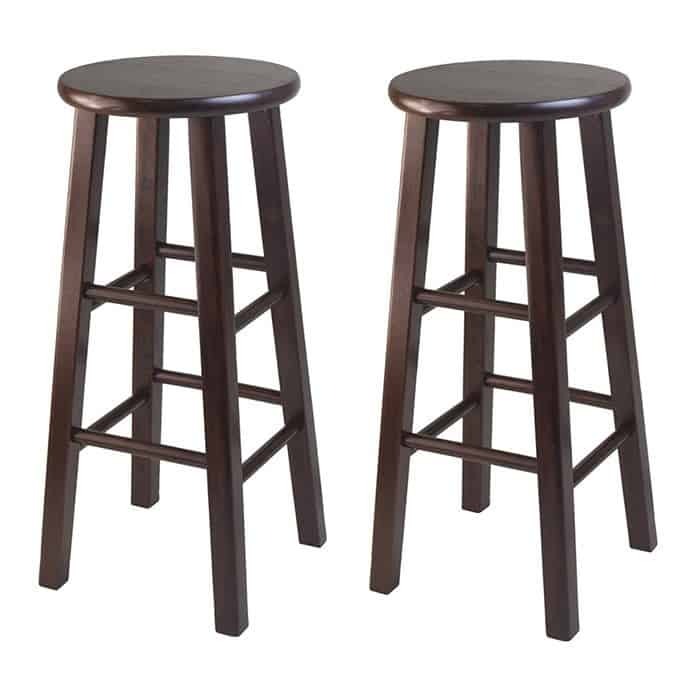 Nice bar stools aren’t usually sold on run-of-the-mill websites. Overstock is a somewhat-luxury online retailer that has one of the best barstool selections we’ve seen online - better than Amazon, eBay, or anyone else. Go to O.Co to get started. Spectator chairs aren’t made by as many manufacturers. In general, pool and billiards companies make just one or two models each, so going through each brand separately isn’t the most effective way to shop. Instead, search on a comparison shopper like Nextag. 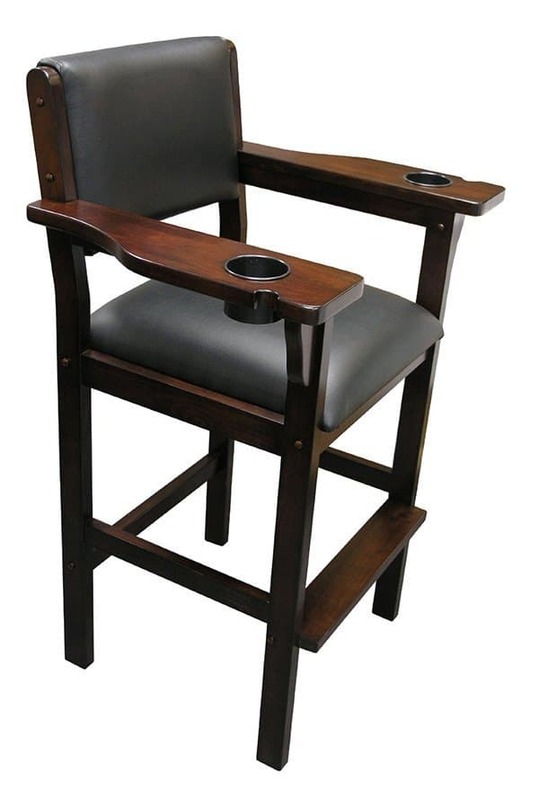 You’ll be able to see all of the offerings from all of the reliable retailers, and if you see a billiards and bar stool spectator chair you like, you even have the option to find the cheapest price out of everyone listed on Nextag. Right now, decide whether you need bar stools, spectator chairs, or both, then scroll up and select the retailer (either online or offline) that suits your needs best... and get shopping! Good luck!